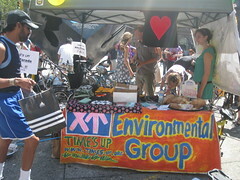 Strong environmental group that educates, promotes, and advocates to help create a more sustainable city. By organizing a number of campaigns to address issues and get involved, TIME’S UP! 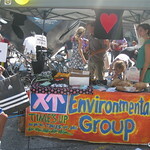 is a major supporter of bicycles and encourages NYC to take action against a car-oriented city. Organizers of moonlight bicycle rides and other events, they are also organizers of bicycle repair workshops classes! See their complete list of events at their website!